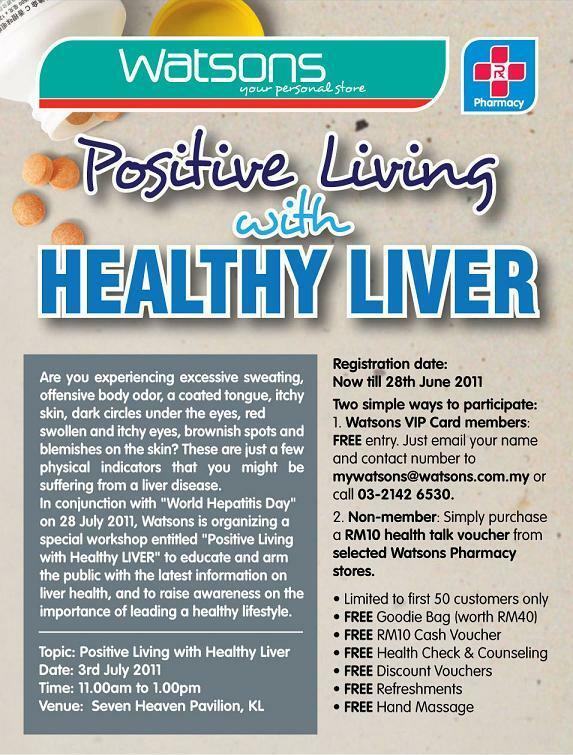 Positive Living with Healthy Liver. 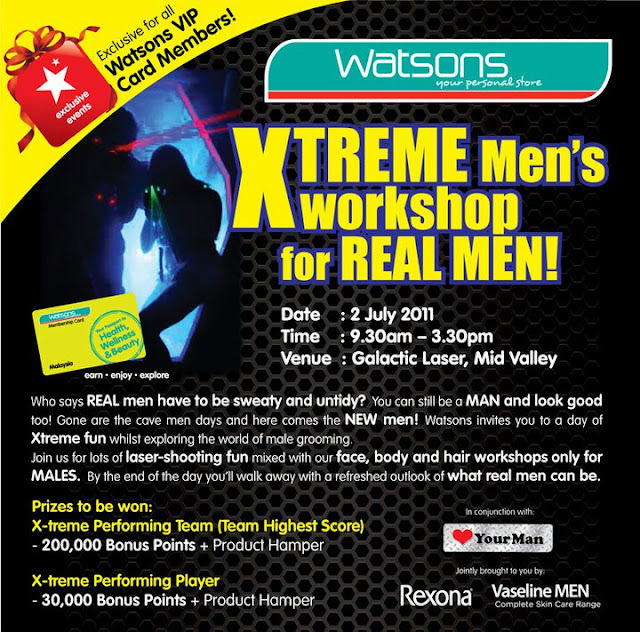 XTREME Men's workshop for REAL MEN is happening on 2nd July 2011 @ Galactic Laser, Mid Valley. 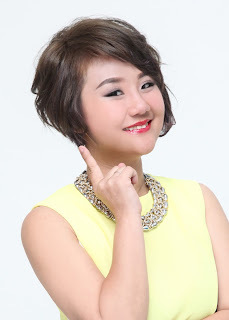 Only 5 SEATS to be given away for 5 Male Watsons VIP Card Members! Hurry on up and email us your name, Watsons VIP Card Number & Contact number to mywatsons.contest@gmail.com & join us for laser- shooting fun and many more!! Hurry, registration ends 26th June.